Well we all use computers and we want our computer to run at its maximum speed. But a month or weak after installing fresh copy of operating system and installing some software's you will see the downfall in your systems performance. You may see that the system takes more time to log-in or log-out, taking more time to launch an application, taking more time to load the contents of a folder etc etc. So whatever may be the symptom, the fact is that it just wastes your time and tests your patience. 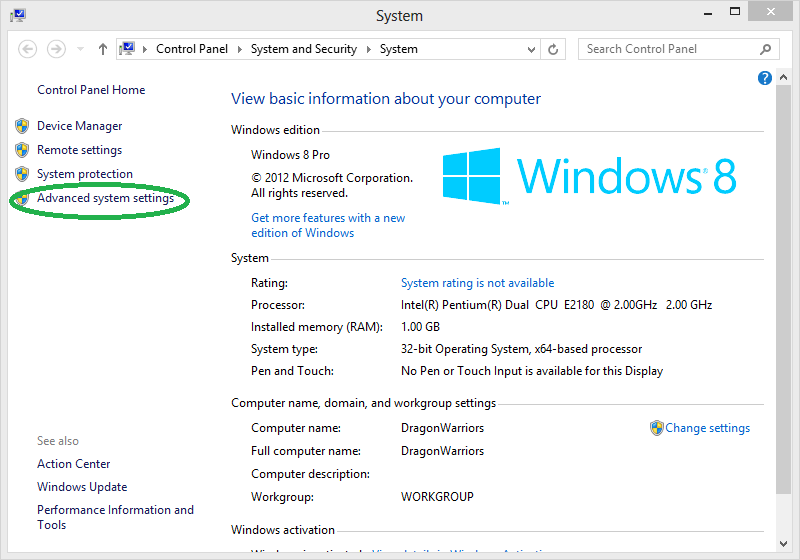 So what i can do when my computer becomes slow after using for some time? well lets solve this problem. First lets have a look on the factors that causes the slowness of the system. Bunch of junk files from internet and used applications. OK cool. 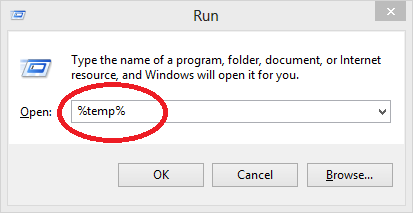 Then how can i increase the performance of my computer ??? Don't install unwanted software's, no matter how attractive they are! Yes i have seen a lot of guys who want to install every software available to them which they don't use at all! Its cool you want to see how some of the software's work or something like that but all the software's available to you? Well the reason why am telling you not to install not needed software's is that all software's take memory in your system and they produce junk files. And some of the software's have some background process which check for updates or do some other tasks. So these junk files are gonna take the memory and these background processes are gonna take some processing time. So they are gonna steal the processing time and memory that would have used by the important programs. So if you avoid these not needed software's then all the available resources can be used by our important or rather needed software and hence it works pretty quick. Well as i told you before that our computer gets a bunch of temporary files when we use internet and software's. So what we can do it we can remove these temporary files manually. Hit enter or click on OK. It will open up a folder. 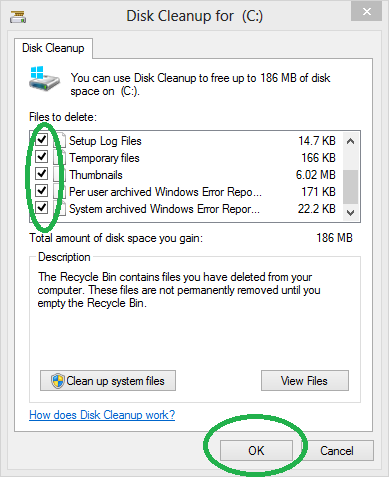 delete all the files in the opened folder by selecting all files and choosing delete option. Similarly perform following steps to delete all temporary files. Hit enter. It will open up a folder. delete all the files in the opened folder. Note: you may need to provide administrative permission while deleting some files and if you cant delete some files then skip them, they are the files in use. Now open up my computer and right click on the partition where you have installed the operating system. Normally the partition with the label local-disk c. It will look like below image. 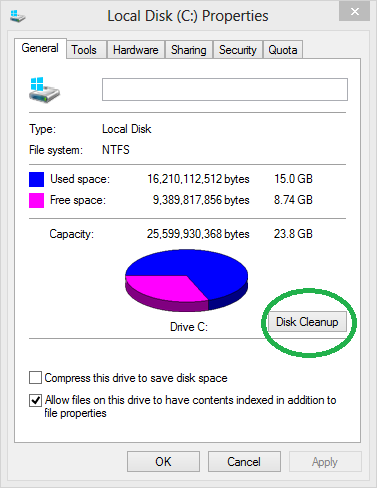 Disk Cleanup will calculate the amount of space that can be freed. Be patient. 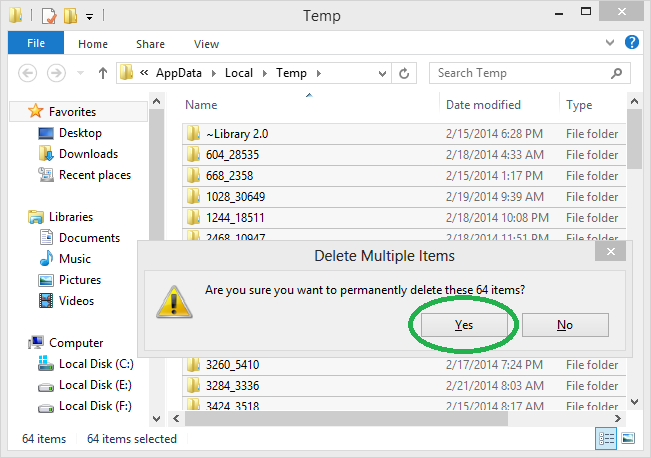 Then click on Delete Files when it asks Are you sure you want to permanently delete these files? That is it. you have said bye-bye to the junk files in your computer. 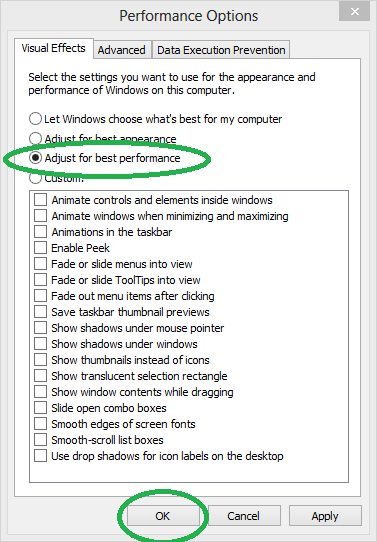 Optimizing windows settings for best performance. If you want your computer to perform better and you don't worry about the appearance then you can make your computer setting to best suited for the performance. Go to my computer and right click ( on the empty area. we just need to go to system window ) and select properties. Go to advances system settings. In the performance tab click on settings. Now your computer settings are changed and your computer will provide maximum performance. 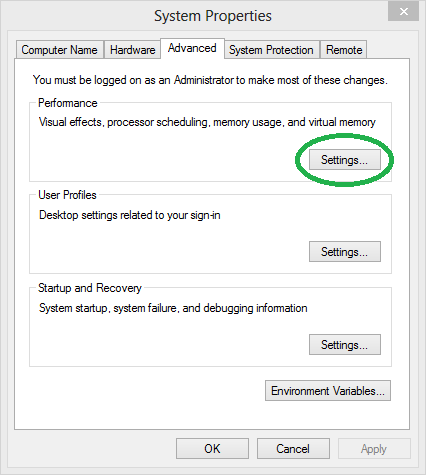 If you want to restore this setting then select the let windows decide what best for my computer. Here is the video that i have made which explains all these steps.